Blendle has made impressive progress, but still has some serious issues to face with its model. 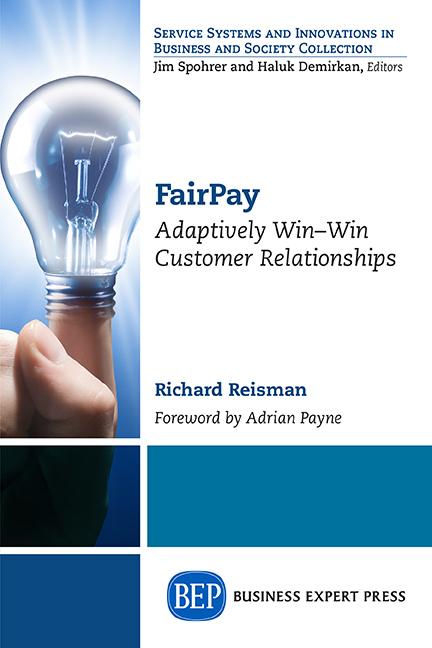 FairPay shows how it can do much better. This news aggregator that just launched its US beta, after success in the Netherlands and Germany, bills itself as "a Spotify, Netflix, or iTunes" for news, and has major funding and publishers behind it. I wish them well, and hope they will adapt improvements along the lines suggested here. I have addressed many aspects of selling news in this blog (see some links below) but let's focus on Blendle. The heart of the issue is the inherent flaw of a set-price micropayment model (that apparently does not offer volume discounts). According to the Wired report, "Newspaper stories will cost on average between 19 and 39 cents per article, while magazine stories will cost on average between 9 and 49 cents." For light users who want a variety of stories, or even just one or two stories from a publication that is locked behind a paywall, that is a good deal. But for moderate to heavy users, the meter will be clicking away, and the bill will get to be pretty hefty. If one news story in a month costs say 25 cents, should 100 stories in a month cost $25, and 500 in a month (just 17 per day) cost $125? That gets expensive fast, and clearly subscriptions offer much lower unit prices. A fundamental flaw of set-price micropayments is that there is no volume discount or pricing sophistication of any kind -- so total billings become unfair and prohibitive to your best potential customers. That creates inefficiency, lost sales, lost profits, and unhappy customers -- and is something that can easily be fixed. As a first and relatively easy step, is to provide volume discounts. Why not offer volume discount tiers on Blendle, so that unit costs decrease with volume (across all publications). There might even be a cap on billings. All that takes is appropriate agreements with the publishers and a little added programming. As we know, subscriptions offer the ultimate volume discount (all you can eat), and usage related charges for such items as cellular voice minutes and data bytes are routinely discounted (if not unlimited). Consumers hate the ticking meter, and the risk of nasty billing surprises, and discounts are only fair. Neither costs nor value increase linearly with usage -- why should prices? That would be a great improvement, but there are still serious issues, How different readers read different stories is not equal, nor is the value they get from them, or their ability to pay. How about readers who skim many stories versus those who linger over a few? How about some who are well-off and gain significant value from financial news versus a struggling retiree who just wants to manage his small nest egg? As a second, and more advanced step, Blendle could use the FairPay strategy to let readers have a say in how much their news is worth to them. As explained in the Overview and other posts on journalism, FairPay does this in a relationship-centered, participatory way that that customers buy into. It structures a new kind of balance of powers that works over a series of transactions to build a relationship. A consumer is selectively granted new power to set prices, but the seller decides whether to continue granting that power to that consumer. The relationship continues as long as both are satisfied. This operates as a repeated game to motivate mutual fairness. This feedback control loop creates a new logic for adaptively seeking win-win value. At heart, it provides a way to radically simplify value-based pricing to work in mass consumer markets. It builds stronger customer relationships, for greater profit, from a wider market. FairPay can give the effect of volume discounts as well as reflect the variations in value noted above. Shirky observes that "users want simple and predictable pricing." 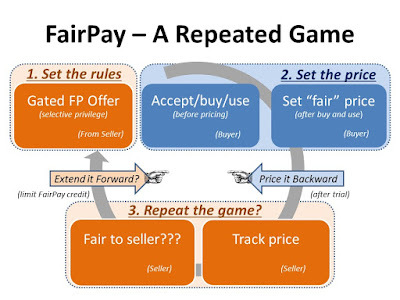 FairPay suggests a different way to skin that cat -- not 100% simple and predictable, but close enough, because it offers prices that the user has significant say in. As a third, intermediate step, Blendle could offer a reverse meter. This could let users who want lower prices get credit for accepting ads. Blendle pitches its freedom from ads, but for some, ads might be a benefit. Similarly, users who share stories virally could get credit for that. This too could be done as a simple add-on, but the added flexibility of FairPay pricing builds in a unified process for factoring in a continuous range of such value factors. It seems Blendle is off to a promising start, but until they address the issues raised here, I expect their business model will take them only so far. By adding the steps I suggest, I expect they will be able to grow much larger and faster. Those who have followed the long history of micropayments as the panacea that keeps failing, are familiar with two classic articles, both titled, "The Case Against Micropayments," first by Clay Shirky in 2000, and then by Andrew Odlysko in 2003. Blendle may have solved some of the issues of friction, but as I have noted, others relating to discounting, bundling, and the behavioral economics of value remain. The steps I suggest may help Blendle, and others, solve the rest of those issues. I should have included some points made in my earlier post that added comments on Blendle and aggregation: "...Why should my incremental cost for one more article be very low (actually zero) if I am an average subscriber on an unlimited usage subscription plan, but high if I have the same activity level using a micropayment system? The incremental charge for an added article should be very small (once beyond some minimal level of volume). The reason consumers hate micropayments is this constantly ticking meter – if we cannot make the meter go away, we must at least make it tick very softly." Also, I should have noted that FairPay reputation data can be especially powerful when collected by an aggregator across multiple merchants or suppliers, as for Blendle. 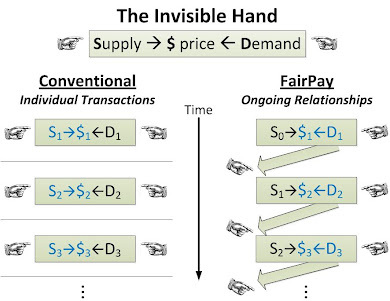 The balance of powers in FairPay can be controlled by the seller to be as relaxed or strict as desired as to what level of consumer generosity is demanded to gain access to offers. For an aggregator like Blendle, different publishers could apply different policies, depending on their strategy for how inclusive or exclusive they wish to be (demanding of premium prices or less demanding, and more open to a wide market). Even for publishers new to the aggregator, the ability to apply reputation data obtained with respect to other publishers served by the aggregator provides a way to target offers to consumers they as yet have no direct experience with (working much like credit ratings). [Update 4/27/16:] Refunds are too all-or-nothing! Some early testing reinforces my view that the refund feature is a good start, but much too binary. On viewing a WSJ article, I get a header link that says "$0.49 - No good, money back guarantee." which leads me to this pop-up at the right. What if I just skimmed the first couple paragraphs and then moved on? -- should I pay the same as if I studied it and saved it? What if I thought it was OK, but not worth the full price? Or if I thought it was great, and wanted to add a bonus? And what if I ask for refunds too often? Will I get slapped? FairPay would give me a say in how much I paid.